What about Brazil? I’ve always thought it was smaller than the continental US. It turns out it’s very similar in size. I have just been introduced to a fun geography website: OverlapMaps.com. 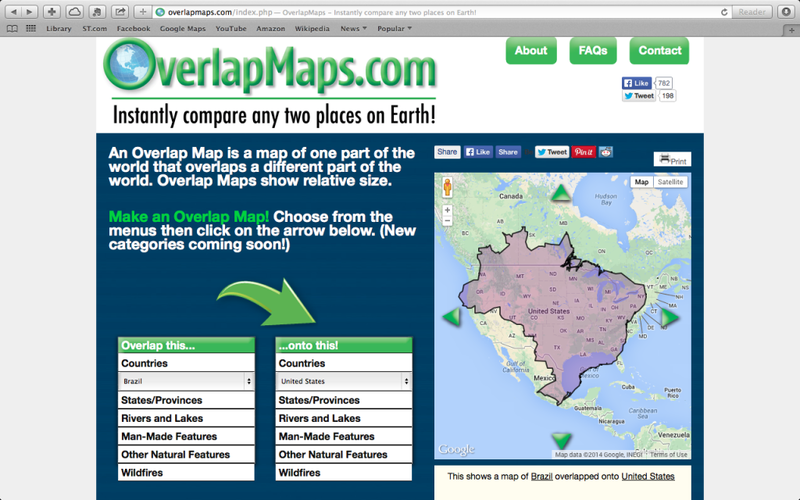 OverlapMaps is a very simple, entertaining, and educational website. You select a country, state, river or lake, and then select another geographical area to compare. With a click of the green arrow, a comparison map is generated. The use of OverlapMaps is free so go and try it out. I’ll wait. The website is free, but if you want to give your students a little direction, I recommend the OverlapMaps.com Activity Sheets. Right now, Educents has a special deal on the sheets. 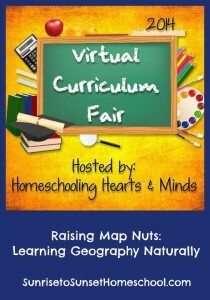 The e-book contains instructions for using OverlapMaps, plus 10 lessons that use OverlapMaps to learn about continents, oceans, countries, and states. It’s a good value at only $4.99. That’s 60% off the regular price! *Disclosure: This post contains an affiliate link. 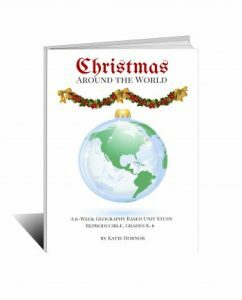 If you purchase the e-book, I’ll receive a small commission from Educents. Will Germany fit in the state of Texas? What’s the largest country that will fit in Alaska? Our last book club meeting of the year was yesterday. 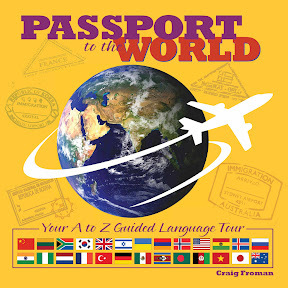 The assignment for this month was to pick any place you would like to visit and share information with the group. My daughter chose New York as her place and decided that she would like to make a lapbook and share it with the group. We have unfortunately not done much lapbooking this year, so I was happy when she chose to make one. I found this topic a very easy one to put into mini-books. My daughter designed this New York City lapbook completely on her own, so you’ll see there’s not a wide variety in types of mini-books. But, as I usual, I needed to remind myself about the PURPOSE of lapbooking. The purpose is not in seeing how many neat books you can put in a folder, but is to summarize information that you have learned about a particular topic in a way that makes it interesting both to make and look at again in the future. Or at least that’s why I want my children to make a lapbook. I did find pictures for her mini-books on-line and helped to guide her to some of the topics of the mini-books. Maps of New York – Inside this book are maps of each of the boroughs. I was proud of the independent work that she put into this lapbook. There were several other books that she planned to make but ran out of time. We will be working harder this coming school year on not procrastinating but doing more daily work on projects.